Before we get to the toys, it must be said that Hasbro’s poor showing for Age of Extinction seems to be continuing into Robots in Disguise. 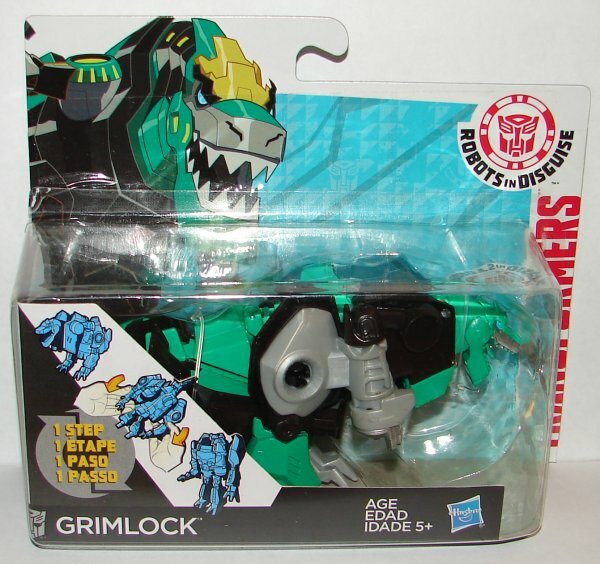 None of the RID toys I’ve got yet have class designations on the packages. 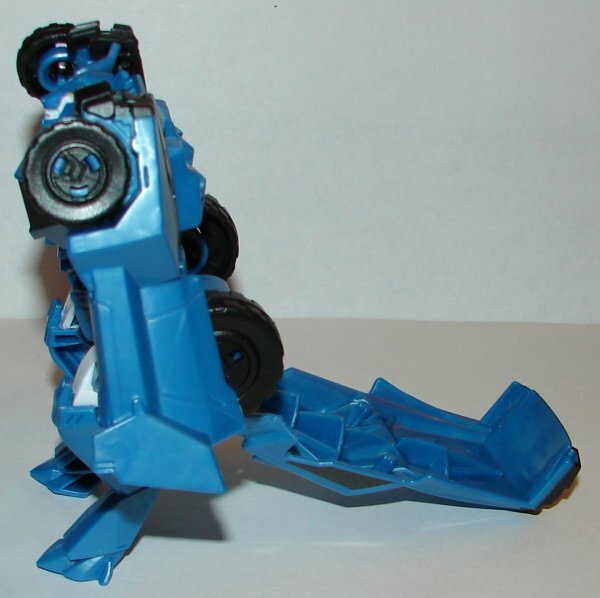 One Step Changers say they change in one step, so they sort of do, but that is not the same thing as putting the class on the box. 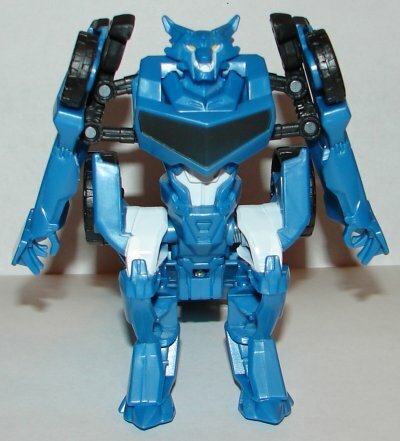 Fixit is really cool. I love his robot mode. His head sculpt is awesome. 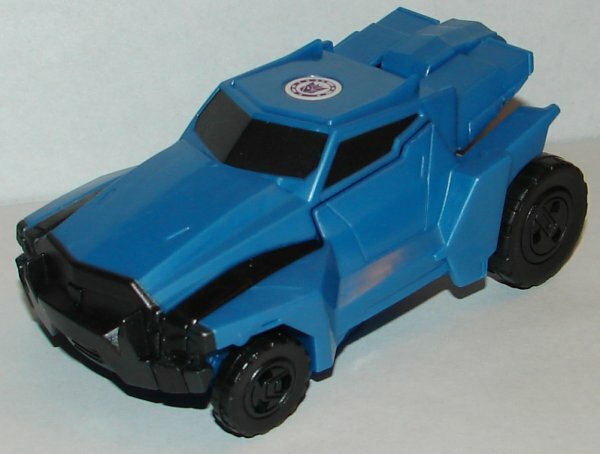 Vehicle mode is decent, but I hope we get a Warrior Class toy of him. 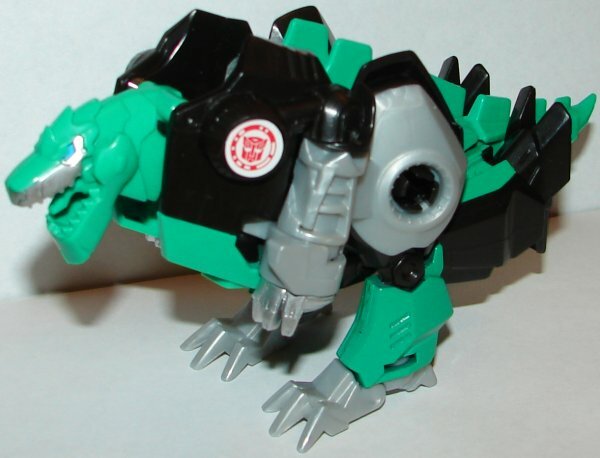 As with the other Grimlock toys, this one is pretty good. I like the look. 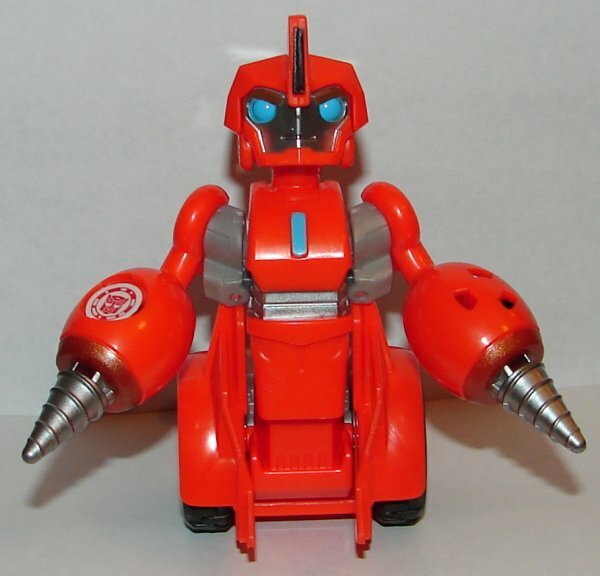 Not crazy about his lack of robot hands though. 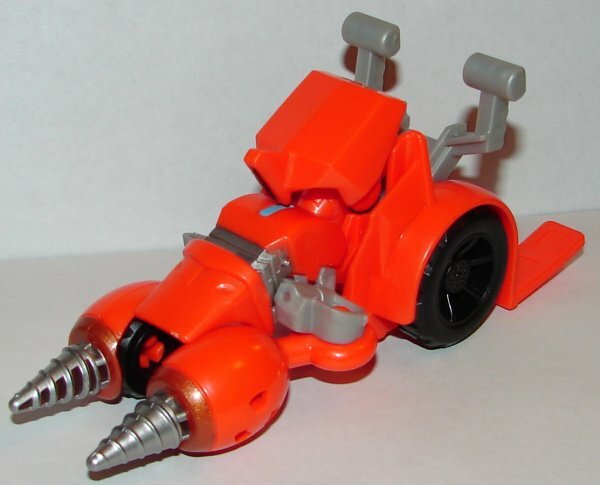 Steeljaw may be the worst One Step Changer yet. 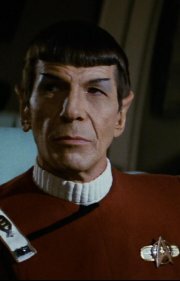 What the hell were they thinking? Is that supposed to be his tail sticking out the back? 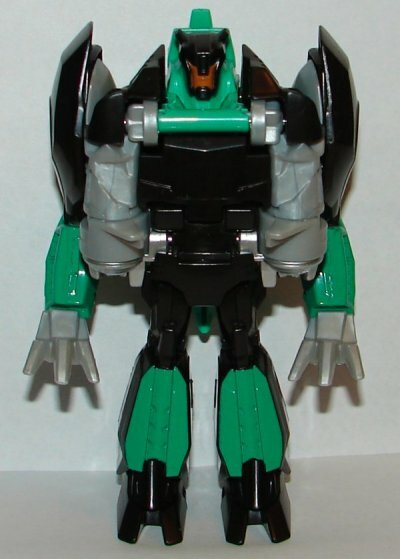 His robot mode is otherwise not horrible, but that piece in back is ridiculous. 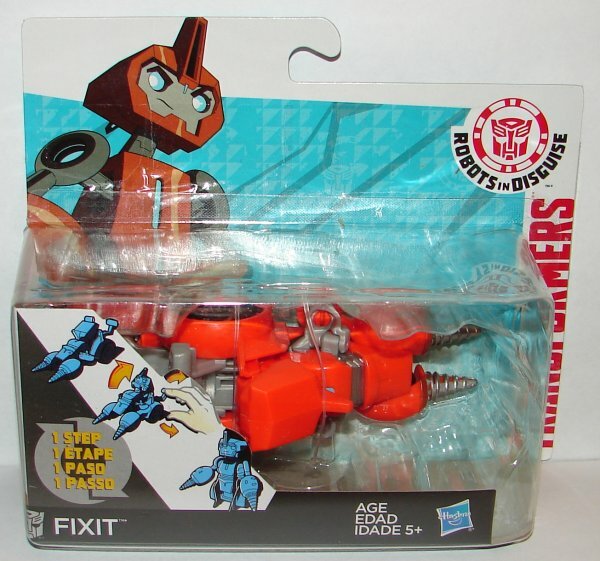 Overall: Fixit is a must. 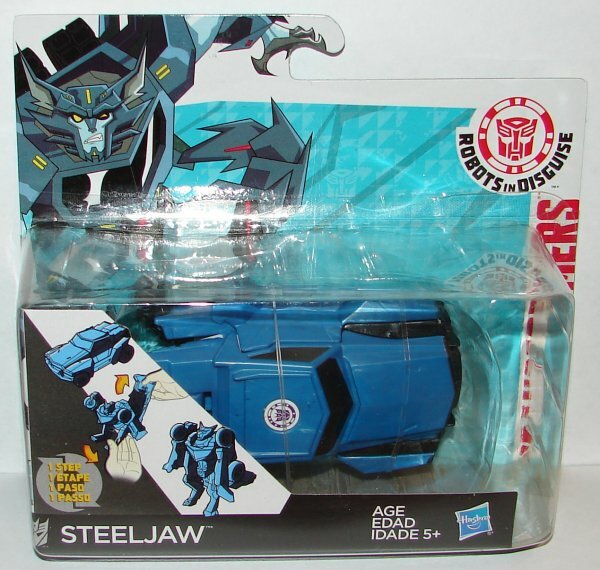 This entry was posted in Toy Reviews, Toys, Transformers and tagged 1-Step Changer, Fixit, Grimlock, One Step Changer, RID, Robots in Disguise, Steeljaw, Toys, Transformers, Transformers: Robots in Disguise. Bookmark the permalink.